The Upper Cervical Blog: Is Upper Cervical Care Alternative Medicine? 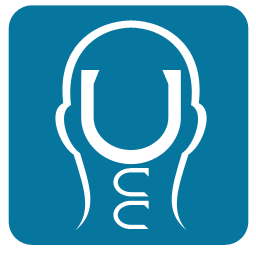 Upper Cervical Care: Healthcare that begins by getting our head on straight. Click Here for our FREE E-Book "Sickness 2 Health"
Is Upper Cervical Care Alternative Medicine? Here’s a term that is thrown around quite a bit. More people visit the alternatives every year than they do medical doctors. 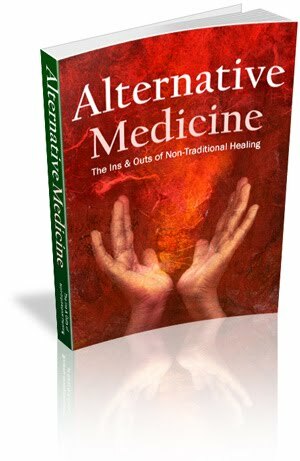 Alternative medicine is a large umbrella that covers just about everything that is not part of orthodox medicine (drugs and surgery) so it is a pretty broad area. It covers such therapies as acupuncture, naturopathy, and nutritional therapy to name a few. Unfortunately upper cervical care gets lumped in there with these therapies. When you understand upper cervical care, you realize clearly that it is not alternative medicine. An alternative is a different way of reaching the same objective. Tylenol is alternative medicine, an alternative to aspirin. Aleve is an alternative to both of these. All have the same objective, treating a symptom. Acupuncture is an alternative to drugs or surgery as is naturopathy. They are all attempting to accomplish the same objective, treating a disease, a condition or the symptoms of one. Like Tylenol, Aleve and aspirin, different therapies work better for different people and for the same people under different circumstances. Everyone is different, that is why there is a market for all these alternatives in the treatment of disease. So, what makes upper cervical care not truly an alternative to medicine? It’s the objective. The objective of upper cervical care is not to treat or to cure any disease. It is to allow the body’s own inborn healing ability to be expressed more fully by removing interference in the nerve system due to head/neck misalignment. But even that is a small part of upper cervical care. This same innate healing ability is the intelligent activity that normalizes body chemistry, allows one to think, sleep, work and generally function at a higher level. That is important to people whether they have a disease or not, even when they feel good. When it comes down to it, upper cervical care is not an alternative to anything. No one else corrects interference in the nerve system due to head/neck misalignment, at least not intentionally as their objective. The only real alternative to upper cervical care is the same alternative to eating…not doing it! Neither of which is beneficial to your life or health. It is a shame that upper cervical care has been lumped in the category of alternative medicine because it gives people an incorrect perception of upper cervical care, that it is for the treatment of some condition. And in doing that, it causes all the people who have no diseases as well as people who are satisfied with medicine or one of its alternatives to miss out on the great benefit that upper cervical care has to offer to the entire population. Get your nerve system checked periodically regardless of what else you do. Nice post. Great points Travis!